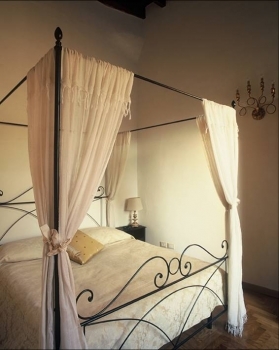 The apartment is in the historic center, in one of the most typical and popular street of Florence, in front of Piazza del Carmine and near the famous church of Piazza S. Spirito, five minutes walk to Via della Vigna Nuova and Piazza della Repubblica. The palace is dated from the XVIII century. 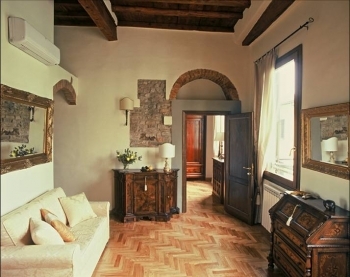 It�s a typical florentine building with stone stairs, located in the neighbourhood of artisans and antiquarians. This apartment, located on the second floor, includes a spacious and bright living room with dining area, kitchenette, one bedroom with canopied double bed and a bathroom in natural marble with bathtub. 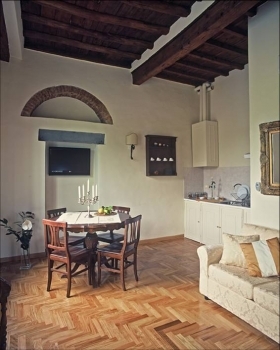 From the windows of the apartment can enjoy a splendid panoramic view of the Carmine�s church. The entire apartment has beamed ceilings and hardwood floors. 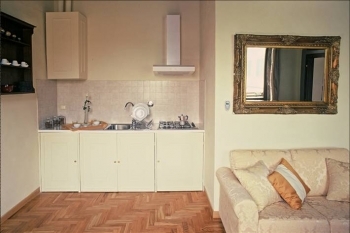 WE HAVE 20 APARTMENT RENTALS IN FLORENCE CITY CENTER. FOR DETAILED INFORMATION PLEASE CONTACT ME! Special rates over 4 day booking!